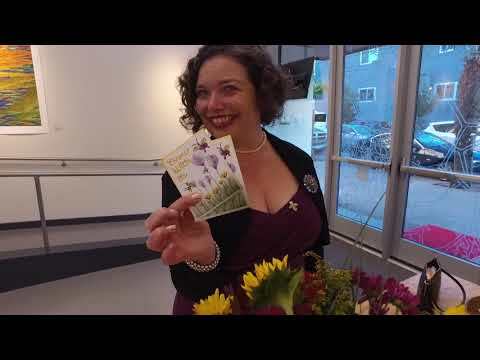 Hunter Events — one of the top ten Corporate event planners in San Francisco — planned and produced a gala event titled “Celebrate the Art of Growing Older” to commemorate the 50th Anniversary of the newly redesigned Bethany Center in San Francisco. Distinguished guests from the San Francisco Bay Area gathered to celebrate Bethany Center — a building that for a half-century has provided quality affordable housing to low-income seniors and has become a place for its diverse residence to come together to learn, share, grow and live. The gala also unveiled the Center’s new Ruth’s Table building, a place for creative learning rooted in the life of artist Ruth Asawa. As with all company events planned by Hunter Events, the menu for this gala was carefully crafted and tailored to the Client’s specific needs. As the guests explored and toured Bethany Center, they were treated to a selection of hors d’oeuvres, desserts and cocktails. Mouthwatering mustard-griddled beef burger bites, teriyaki kobe beef fries, chicken pot pies, and tiny Thai tuna tacos — as well as variety of other delicious menu items — were presented on trays by butlers as the guests mingled throughout the establishment. As the evening progressed, platters of desserts were brought out to delight the guests. Gourmet peanut butter cups and variety of tartlets — lemon meringue, chocolate and caramel, and seasonal fruit mascarpone — rounded out the experience. The 50th Anniversary gala event was held at Bethany Center Senior Housing in the heart San Francisco’s Mission District. Since 2016, the center underwent a major renovation including a significant modernization in seismic readiness, safety and accessibility for the 167 residents. Bethany Center also constructed a brand new building called Ruth’s Table. This building is named for the late Ruth Asawa, a San Francisco artist and advocate for art education. Ruth’s Table connects diverse audiences through a dynamic combination of rotating exhibitions, artist-run workshops and after-hour events, along with free programming open to people of all ages and abilities. A parking lot connecting Ruth’s Table and Bethany Center was replaced by a beautiful sustainably designed, safe, urban garden, to be open and accessible to the surrounding neighborhood in early 2019. Hunter Events adorned the space with raised cocktail tables draped in colorful linens. As an expert at planning and producing successful company events, Hunter Events made certain that the tables allowed guests to pause for conversation, yet did not interfere with the buildings’ beautiful architecture or the flow of attendee traffic. To signify the momentous anniversary, Hunter Events designed and custom built a “50” marquee, which lit up the building’s exterior in the most elegant and impressive way. A private celebration prior to the official start of the gala was held for the Bethany Center residents and staff. Notable members of the San Francisco Bay Area and other guests arrived later in the evening to celebrate the anniversary, tour the buildings and learn more about the impact Bethany Center has on its community. Bethany Center Executive Director, Jerry Brown, gave a welcome speech and offered a salute to the newly remodeled living space, Ruth’s Table, and their unique niche in the San Francisco community. Guests and residents were treated to a variety of entertainment, representing a mix of cultures and traditions as a nod to the diverse group of people living at Bethany Center. Hunter Events hired a mariachi band, impressive stilt walkers, a pianist and a traditional Chinese Lion Dance troupe to bless the buildings. As the music filled the hallways, guests were dazzled by the beauty of the space and the remarkable impact Bethany Center and Ruth’s Table have on everyone who enters their doors. Guests were also able to explore the Center’s extensive collection of fine art on display throughout the buildings. Most impressively was the front facade of the Bethany Senior Housing Building. A mural titled “Salud!” by Bay Area artist Dan Fontes spans the 9-story exterior from the ground up. The mural showcases the wonderful talents of the senior residents such as dancing, painting, playing musical instruments and more. The unique venue set itself apart from any other anniversary gala event hosted by Hunter Events. Guests from all over San Francisco were awed by the beauty and impact of Bethany Center and Ruth’s Table. Residents glowed with excitement over the dedication of their newly renovated living space. Most notably, the Client was pleased with the outstanding service and attention to detail by corporate event planner, Hunter Events. Bethany Center residents and its guests were able to truly “Celebrate the Art of Growing Older” at the commemorative 50th anniversary gala. As a top event planner in San Francisco, Hunter Events customizes and creates unique events in the Bay Area, throughout the United States and across the globe. Hunter Events has partnered and established long-lasting relationships with world-class hotels, venues and special event facilities — as well as private locations or community centers such as Bethany Center and Ruth’s Table.